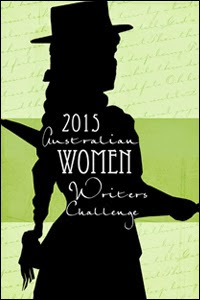 Establishing an Australian Male Writers Challenge to help overcome gender bias? Isn’t that counter-intuitive? First some background about the Australian Women Writers Challenge for those who may be coming across this initiative for the first time. The Australian Women Writers Challenge (AWW) was established in 2012 to draw attention to the gender imbalance of reviewing in Australia’s literary pages and to do something towards redressing this imbalance. It caused a social media sensation by generating links to over 1500 reviews, and attracting national and international attention. It has now entered its second year, with a team of 15 book bloggers curating it. While the original objective of helping to overcome gender bias remains, it also now seeks actively to support and promote books by Australian women. Although the challenge was a great success, feedback to a recent survey suggests its approach had shortcomings. At least one (male) participant commented that he wouldn’t be signing up for the challenge again, principally because it had – according to him – become an exercise of “ignoring” books written by Australian men. Others, only recently hearing about the challenge, claimed they wouldn’t be signing up because they are male. (It’s only for women, right?) This perception is obviously widely held: stats show AWW participants are, overwhelmingly, female. How do we attract more male readers and reviewers? How do we overcome the belief, held by some, that the challenge is for women, by women, or – worse – that it’s anti-male? Far from AWW being about ignoring books by men, its longer term aim is to make itself redundant, to help create an atmosphere of reading and reviewing equality in which positive discrimination for either gender is unnecessary. The willingness of some participants to create this equal space is evident in various 2012 wrap up posts; several female participants have noted that the challenge has made them more aware of the need to promote and support all Australian writers, not just women. Historian Yvonne Perkins from Stumbling Through the Past has declared her support for all Australian writers of histories; Shaheen of Speculating on Speculative Fiction aims to read and review an equal number of male and female writers in 2013; while Tsana Dolichva from Tsana Reads wants to promote more Australian Horror and Science Fiction, regardless of gender. Could there be room for another challenge – a “male writers challenge” – one that makes “male” a visible category rather than the norm? Last night on Twitter when I put this idea forward for discussion, I could almost hear the gasps of protest. Wouldn’t such a challenge be, at best, a step back to the gender-imbalanced status quo; at worst, a capitulation, pandering to male readers, writers and reviewers whose noses are out of joint at AWW’s success, allowing them to make the challenge about them? Why would I support – let alone establish – such a challenge? Doesn’t it go against my original premise? I can understand those fears. And I acknowledge it would be a gamble. But, for me, marginalisation of women’s writing in Australia is not only due to gender bias, and overcoming gender bias in male reviewers is more complex than simply issuing an invitation to read – or coercing them into reading – more books by women. The lack of visibility of women writers in Australian literary review pages has to do with genre as well as gender. If the Australian Women Writers Challenge 2012 is anything to judge by, the books women are reading, and reviewing online – and probably buying and borrowing from the library – are overwhelmingly Fantasy, Romance, commercial popular fiction, Young Adult fiction and Children’s fiction, along with some – but not many – well-known crime or thriller authors. In most of these genres, women are doing well; yet they don’t all make it to the literary review pages, or First Tuesday Book Club discussions, for example, or Radio National’s Books and Arts Daily. Nor are these genres, I’d hazard, that the Stella Prize committee seeks to champion (even though it is ostensibly open to all genres). The Stella Prize was established to counteract the bias that favoured men in recent Miles Franklin Awards: it aims for fair recognition and acknowledgement for female literary writers, the best of the best, the “finest” writing (which, in Australia, hasn’t always meant a very readable “story”). Participants in the Australian Women Writers Challenge have helped the Stella’s aims by creating a community of readers who read and review lots of books by women, regardless of genre, with many literary books thrown in: not by focusing on the “literary”. The men who participated in the 2012 challenge, with a couple of exceptions (including the disgruntled one), didn’t read literary books, for the most part: they read Speculative Fiction and some crime, with one brave reviewer throwing in some Romance, almost as a dare. They read the books whose stories they thought they’d enjoy, given their reading preferences. My thought is this: rather than fight against male readers’ lack of interest in reading books by Australian women, why not work with it? First find the readers via a challenge that attracts them, see what they enjoy – whether its genre fiction or something more literary. Then, include them among a broader social media reading community, and recommend good books by women, great stories that suit their tastes. At the same time, we’d be helping to support and promote male Australian genre writers who, it could be argued, also suffer genre bias against their work. By helping to create an Australian Male Writers reading and reviewing challenge – and perhaps a tandem “Australian Writers” challenge that promotes reviewing of an equal number of books by men and women – we could find future potential participants for AWW. These are actually (dare I say it?) fair points, although misappropriate and offensive appearing in the context of Moss’s blog. But what if the two are connected: the marginalisation of women writers and Australian males’ comparatively poor literacy? What if adult males’ poorer literacy is in part due to a lack of awareness of books that appeal to them? Books with easy-to-read good stories which are aimed at adults, not children. Books like… genre fiction. By promoting – and valuing – genre fiction, might we not encourage both male and female children to keep reading into adulthood, rather than coming to see reading as a “worthy pursuit” which they rarely, if ever do, but which they associate with the kind of reading they had to do in high school, Capital “L”, “Literature”? I’m speaking, by the way, as an ex-tutor of creative writing at tertiary level, who heard one student admit not to having read a book since Looking for Alibrandi when she was 14. Literary books didn’t interest her, fair enough – but to enter adulthood with no reading? Instead, such students opted to spend their leisure seeing movies, playing computer games, or hanging out on social media; if they did read, it was magazines. Would such an endeavour detract from the aims of The Stella Prize and the original premise of the Australian Women Writers challenge? I don’t think so. 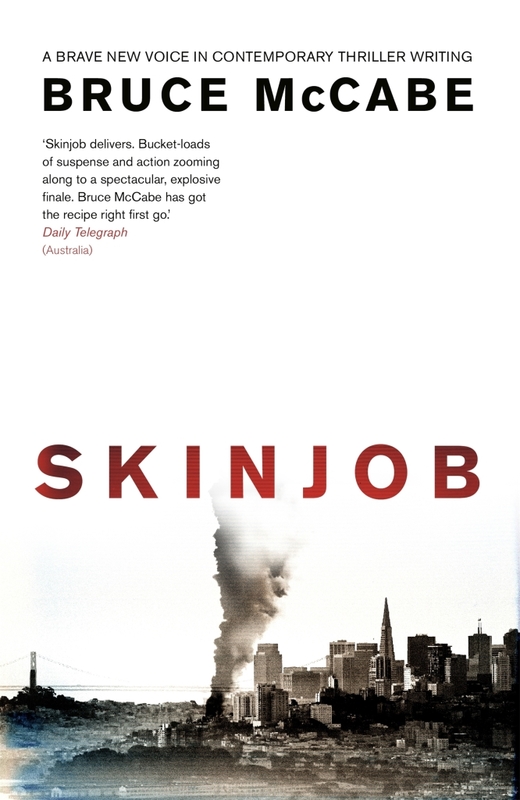 Fine writing, combined with a riveting story, won’t be overlooked – such books may even attract more mainstream attention. At best, the Australian Women Writers Challenge will have a positive impact, helping books by Australian women receive the attention they deserve. At worst, it will be more of the same. Literary books that may or may not attract reviews by male reviewers. Women (and a few men) reading books by women; both men and women reading books by men. 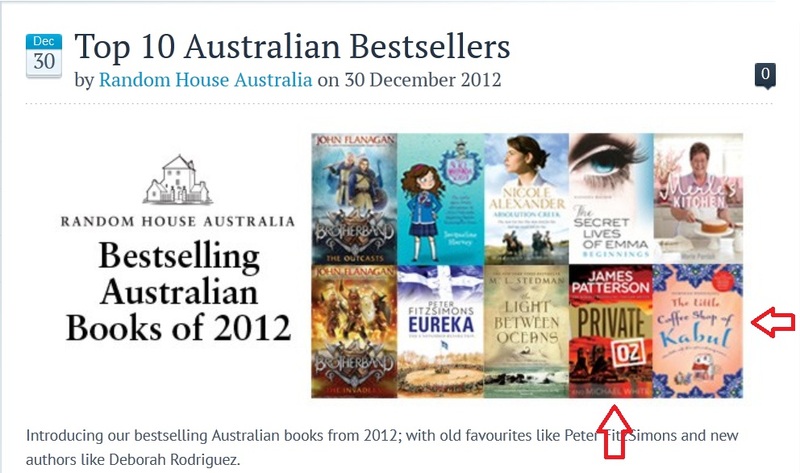 And publishing houses like Random House Australia listing at the top of their “Top 10 Australian Bestsellers 2012″ two books by Americans: Deborah Rodriguez and James Patterson. Why? Why else? Unless our own fine genre writers are comparatively invisible. Genre bias – as well as gender bias – is alive and well in Australia, and it doesn’t impact only on women. So what do you think? Is there room for another Australian reading and reviewing challenge?